While 2018 so far hasn’t seen early year hits as big as things like Split and Get Out from 2017, that doesn’t mean horror is doing poorly at the box office. In fact, this very weekend saw two horror films become big financial hits in short order. Topping this weekend’s charts is Rampage, a video game adaptation starring Dwayne “The Rock” Johnson. While giant monsters are in it, Rampage is hardly a horror film. However, #2 and #3 definitely belong to our genre. Made on a budget of only $17 million, A Quiet Place – directed by and starring former The Office actor John Krasinski – has raked in a whopping $151.3 million worldwide in just two weeks, and just barely came in second to Rampage this weekend with $32.6 million. A Quiet Place has also been a big critical hit, holding an impressive 95% on Rotten Tomatoes. The same cannot be said for new Blumhouse release Truth or Dare, which opened at #3 on the domestic charts this weekend. Still, despite holding a paltry 15% rating on Rotten Tomatoes, Truth or Dare has already managed to rake in $21.6 million worldwide. That may not sound like a ton, but the film’s budget was only $3.5 million, rocketing it straight into major profitability. 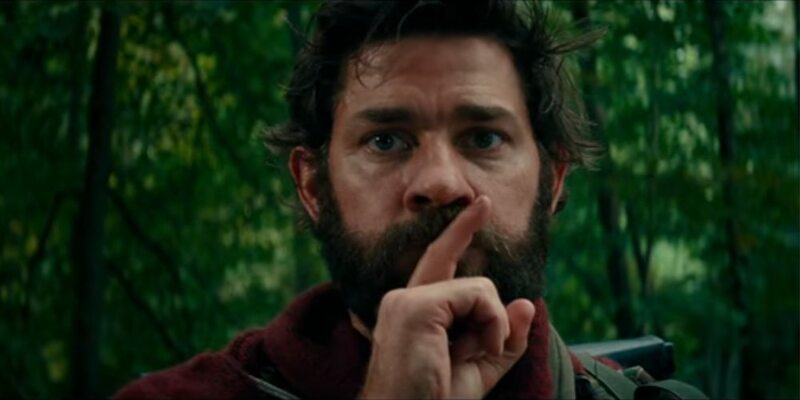 With no big releases hitting next Friday April 20th, there’s a good chance both A Quiet Place and Truth or Dare will perform well next weekend too. Of course, on the 27th, Avengers: Infinity War arrives to lay the smack down on everything else.